This is Beau a week after the surgery that relieved his pain. He suffered from a condition called 'entropion' whereby his lower eyelids rolled in so that the eyelashes rubbed against the cornea causing painful ulcers. He is feeling good now, being active and playing with his toys. He has a new lease on life! 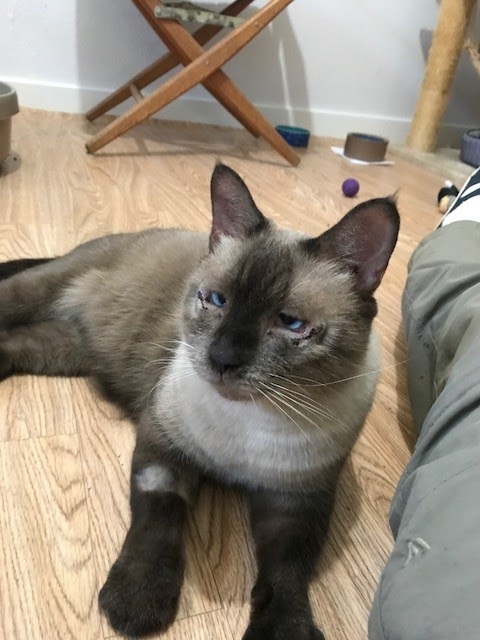 His eyes will continue to look better and he is now ready for adoption. 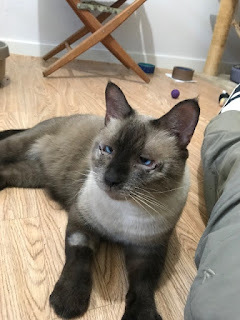 And by the way, Beau turned out to be a handsome cross-eyed boy. A big thank you to all who donated toward the cost of the surgery, you made it happen! It is wonderful to have so many people respond to help an animal in pain, and I am humbled by your generosity.